Samsung GSPN Daseul SW Capture Online Repair Service, iPhone GSX iCloud Online Repair Service, IMEI Cleaner/Combination is a web-based programming organization that remotely performs SIM opening administrations and IMEI repairs over your home web association by means of Teamviewer. The kinds of telephones that we repair and open are Samsung, LG, and HTC (sorry, we don't bolster some other models). What is an IMEI repair? An IMEI repair is an administration mostly utilized for telephones that have a degenerate IMEI or a boycotted/blocked IMEI. IMEI Repair Unlocking on the spot, 10 minutes or less. Note 5, Note 4, Note 3, Note 2, Galaxy S6 Edge, Galaxy S6,Galaxy Note 8, Galaxy S8+,Galaxy S8,Galaxy S7, Galaxy S5, Galaxy S4, Galaxy S3, Galaxy S2, Galaxy Note Edge, Galaxy Alpha, Galaxy S5 Active and that's just the beginning! No UART/GSM Box required! Just a customary USB cable!. Our mail-in administrations are finished that day that we get the telephone and sent out that same-day also, if not the first thing. We give the following numbers with the goal that you can make certain that your telephone is headed. Write cert on any SAMSUNG Phone Special UART box needed, Easy to use, Just one Click!. You will need a cert file (We don't provide) and MSL code (We don't provide). You can download the latest setup of Samsung cert IMEI repair tool by just following below links. The links are free and still easy to manage. If you are unable to download from this page, please contact us via comment. 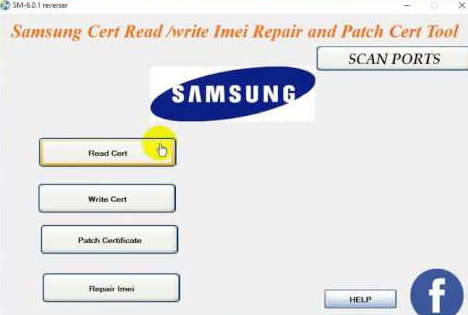 Note: Recently the download links of Samsung Cert read IMEI repair tool is not available. We will publish it here very soon.